Bentley EXP Speed 8 Le Mans 2001 Poster. 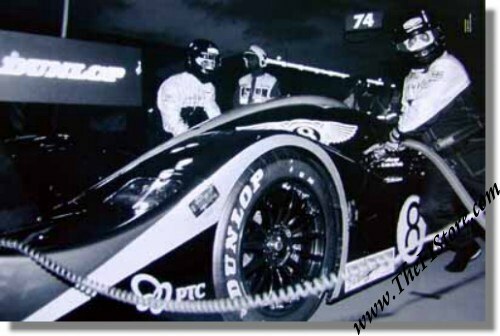 A truely great image of the Bentley EXP Speed 8 of Andy Wallace, Butch Leitzinger and Eric van de Poele during a pitstop on their way to 3rd place overall in the 2001 edition of the Le Mans 24 Hours. Measures approximately 20 x 12 inches or 50 x 30 cm in metric. Only 1 pc. available !